The former Manchester City and Stockport County player Barrie Betts has died at the age of eighty six. 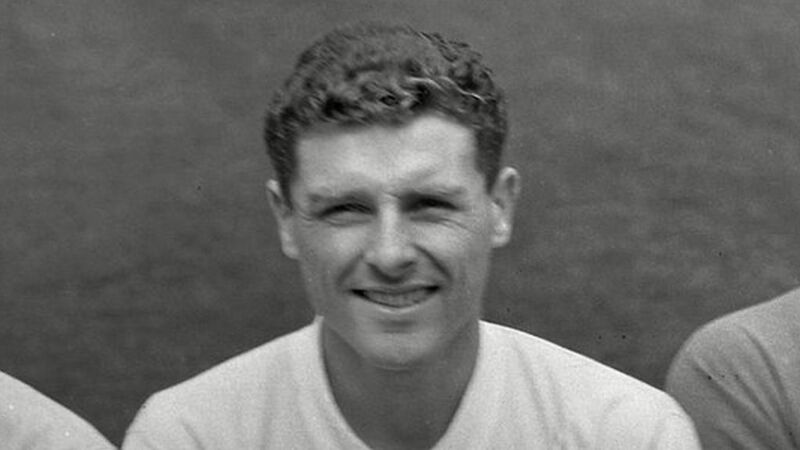 Barrie joined The Hatters in July 1957 having been released by his home town club Barnsley, where he had played 58 times. Remarkably, he had retired injured and received £500 compensation. On signing for County as a non -contract player, he proved his fitness, repaid the money and went on to make 122 appearances at Edgeley Park. He was a virtual ever present for three seasons and created a formidable full back partnership with left back Billy Webb. In January 1958 he played in the famous 3-0 FA Cup 3rd Round win against first division Luton Town (a result against the team that finished 8th in the top division, making this perhaps the greatest victory in the clubs history). In June 1960 he signed for Manchester City for a fee of £8,000, playing 117 times. He was captain at Maine Road in the 1961-62 season.